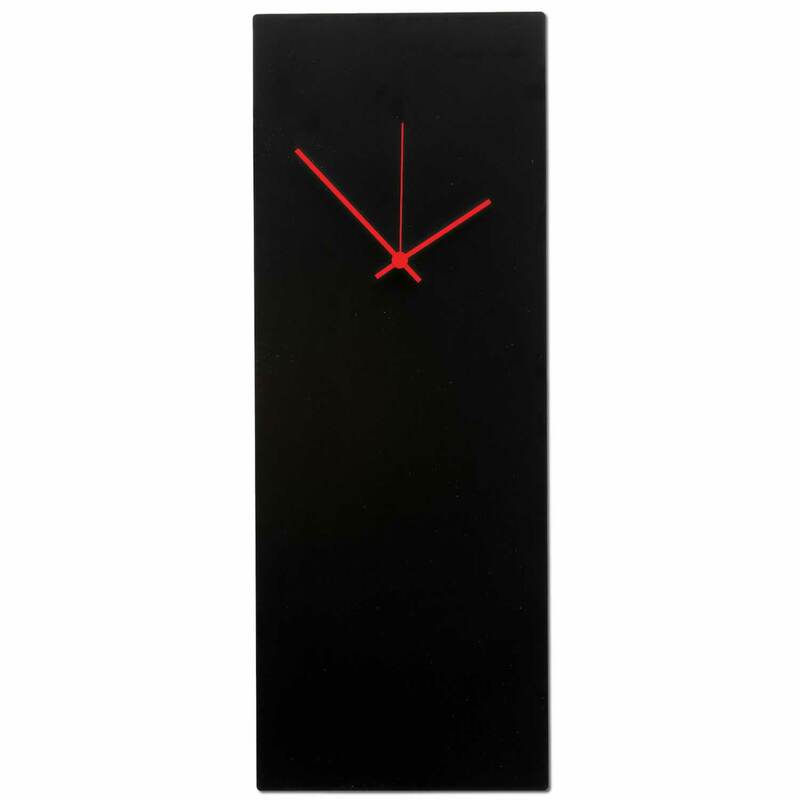 Contemporary black metal clock w/ red clock hands. Hands also available in blue, orange, green, white and black. 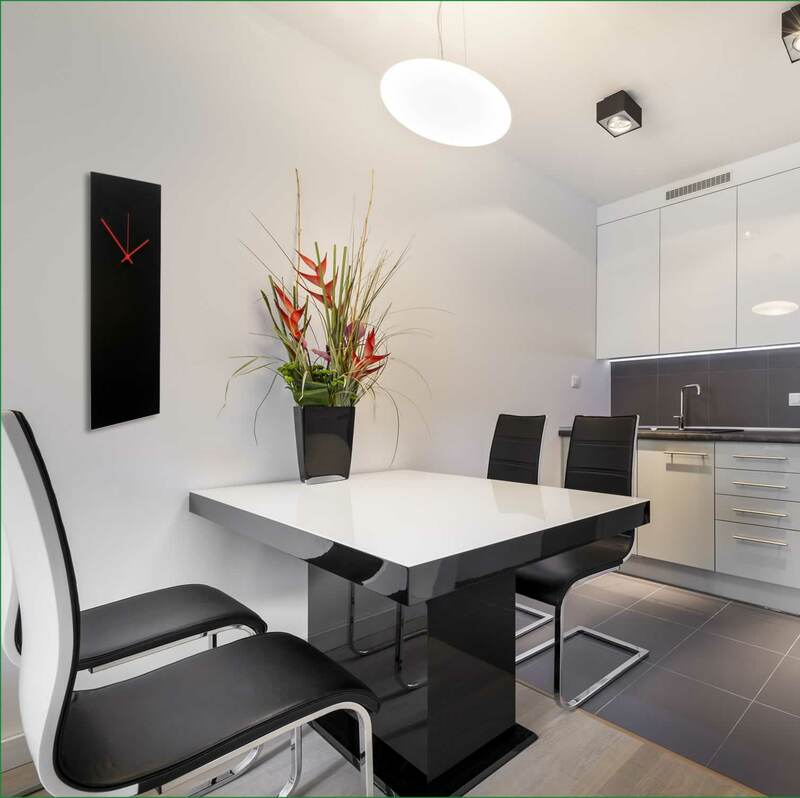 The clock has a satin black body and beveled pinstripe metallic edge.